As a lifelong allergy sufferer, I have come to rely on Zyrtec to get me through the spring season. I fall victim to all of the usual symptoms of seasonal allergies– itchy watery eyes, red nose, puffiness- you name, I have it. 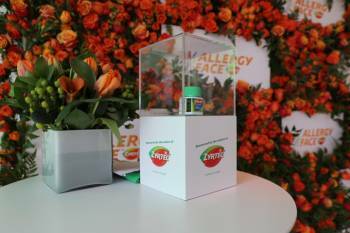 So when I was invited to attend an event with the makers of Zyrtec, Gilt, and Glamsquad to address a phenomenon cleverly coined as “Allergy Face,” I instantly felt understood. The struggle is real. 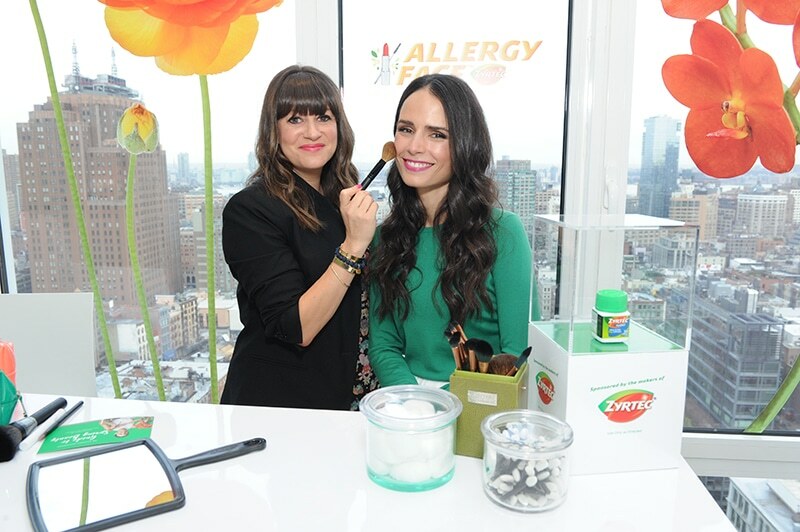 On hand to discuss this issue that plagues every woman’s beauty regime, celebrity makeup artist Jamie Greenberg and actress Jordana Brewster curated the conversation with how to combat the allergy ordeal, and introduced a new must-have beauty accessory for girls like me. The Allergy Face Beauty Kit has made its debut exclusively on Gilt.com and is available through May 30th. The stylish and compact kit has all the tools to help you get out the door looking fabulous, even when allergy face has reared its ugly head. Included in the Allergy Face Beauty Bag is a sample size of Aveeno Ultra-Calming Nourishing Night Cream, Neutrogena Healthy Volume Mascara, Neutrogena Moisture Shine, An Allergy Sufferers Guide to Spring Beauty, and a coupon for $10 off the purchase of Zyrtec. 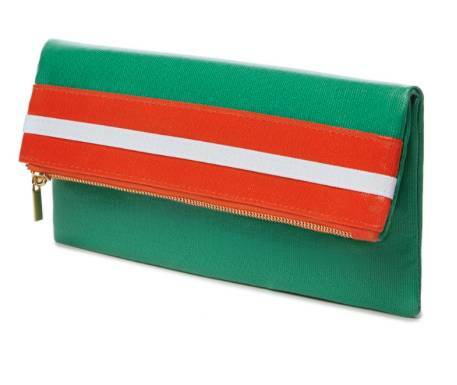 Priced at $19 (or even free when you make a purchase from Gilt’s “Beauty In Bloom” sale! ), this baby practically pays for itself! 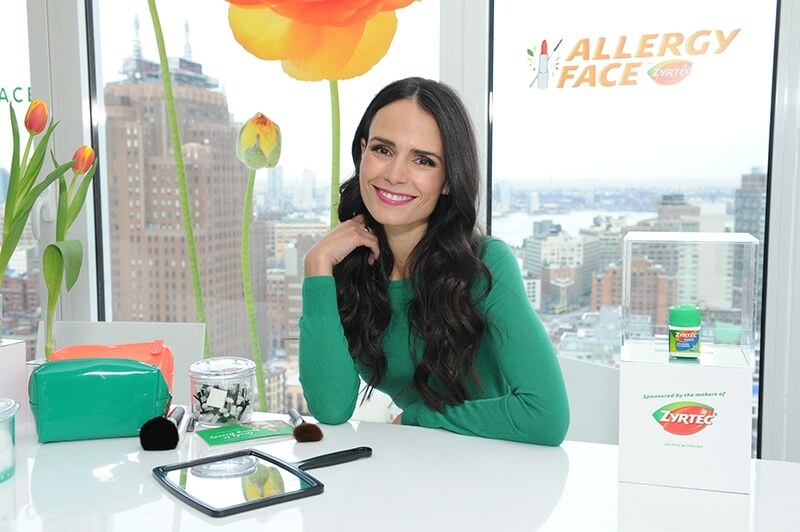 Jamie Greenberg shared some great beauty tips with Lady And The Blog for how to combat the dreaded allergy face, and make best use of this handy beauty kit! Red nose? Yeah, me too. To move attention away from this classic allergy symptom, choose a shade with a hint of color when planning your make-up regime. Opt for plums and pinks to highlight other areas of your face. Lip gloss is so much more than its intended function– dab a little on your cheeks too, and blend on a beautiful glow and dewy look. Incorporating pinks into other areas of your face helps keep your nose from becoming a focal point. The Neutrogena Moisture Shine Gloss is great for this, and helps distract from watery eyes too! Don’t feel like you have to avoid mascara! When dealing with watery eyes, apply mascara by starting at the root of your lashes, drawing the wand upwards in one steady motion. Avoid wiggling the wand or blinking, as that can cause your eyes to water even more and leave you with smudges. Remember: mascara is not forever– I try to replace my stash about every 6 months, that way I can avoid applying a build up of allergens so close to my eyes. A great alternative is to use disposable mascara wands with every application. This way you’re always getting a fresh, allergy-free start! To minimize the effects of allergens, go with a pencil that requires sharpening instead of twist-up products. If you sharpen liner pencils before every use, you can ensure that you’re always starting with a clean layer of makeup. Applying cool moisturizer may help reduce puffiness caused by allergies, so store it in the fridge. Before bedtime, remove all of your make-up with a gentle cleanser, and apply the cool cream to your face to sooth and nourish skin during the night. Sometimes after a long day, I feel a little lazy about getting all of my makeup off, but I’m always so happy that I did the next morning! When choosing a cosmetic bag, always go with a wipeable makeup carrier that can be easily cleaned and sanitized. The Allergy Face Cosmetic Bag is perfect for this, and beyond extending good hygiene, it’s great for those times when a little foundation powder or lipstick accidentally hits the surface. With my new Allergy Face Beauty Kit and primo tips from the experts, I’m well on my way to get ahead of allergy season, and tackle the symptoms with a face I can feel good about. And for those days when I could use a beauty boost from the professionals, thankfully there’s always Glamsquad to bring it to the next level. Note: I was provided product samples for review. All opinions expressed are not for compensation and 100% my own.